Ben Hadden (SR/Shawnee Mission, Kan.) likes the direction the Kansas Wesleyan men’s golf team is heading. “We’re definitely hitting our stride at the right time,” he said. Led by Hadden and a balanced team effort, the Coyotes posted a 293 team score and cruised to the championship of the KWU Spring Invitational on Tuesday at Salina Country Club. Wesleyan finished with a 291-293—584 two-day total, 16 shots ahead of William Penn (301-299—600). Kansas Wesleyan’s B-Team (303-318—621) and Central Christian (305-316—621) tied for third. Hadden, a senior from Shawnee, was the tournament champion after a 72 Monday and an even-par 70 round Tuesday for a 142 total. Teammate Troy Watson (JR/Coffeyville, Kan.) was second (70-74—144) and fellow Coyote Coleman Houk (SR/Lawrence, Kan.) tied for third (72-73—145). Logan Vacca (JR/Coffeyville, Kan.) had a ninth-place finish (77-76—153) and Sam Flinn (SR/Mankato, Kan.) tied for 22nd (84-79—163). First-round leader Oliver Stanway of William Penn shot a 77 Tuesday after a 68 Monday and tied Houk for third. It was the Coyotes’ second winning effort in two weeks after they finished the Kansas Conference’s First Leg with a 10-shot lead last week at Crestview Country Club in Wichita. KWU coach Randy Syring was thrilled after the Coyotes increased their 10-shot lead after Monday’s first round. That said, Syring said the Coyotes are a work in progress. Syring praised Watson and Coleman in addition to Hadden. 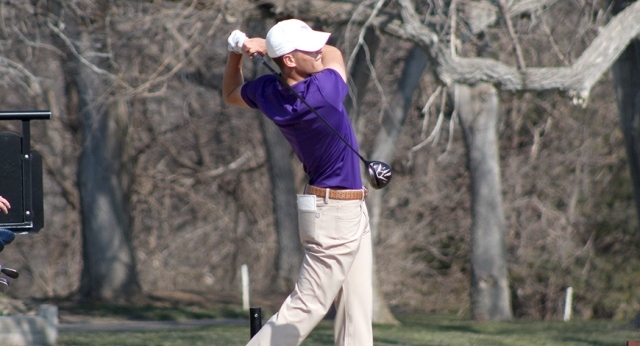 Austin Odom (JR/Sanger, Texas)’s sixth-place finish (74-75—149) led the KWU B-Team. He was followed by Patrick Mercer (JR/Denton, Texas), who tied for seventh place (76-74—150), Trevor Millard (JR/Stinnett, Texas) was 15th (74-84—158), Zac Cepure (SO/Lincoln, Neb.) tied for 27th (79-87—166) and Evan Lambert (SO/Salina, Kan.) was 33rd (85-85—170). Odom dropped in the only hole-in-one of the tournament, sinking the 133-yard shot. Cameron Becker (SO/Coffeyville, Kan.) tied for 24th (82-82—164) and Jorden Winegeart (SO/Stinnett, Texas) tied for 34th (87-89—176) playing as individuals. The Coyotes are idle until the trip to Sand Creek Station in Newton on April 6-7 for the Bethel Spring Invitational. 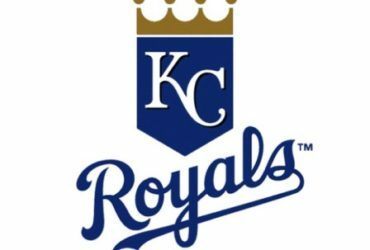 The KCAC Second Leg follows April 29-30 at Buffalo Dunes Golf Course in Garden City. “I really feel like after today we’re back where we wanted to be going into the last part of the season,” Syring said. She didn’t consider it an ideal round of golf, but Kansas Wesleyan’s Kristen Sayyalihn was pleased with the results, individually and collectively. Sayyalinh shot a second day-best 80 and the Wesleyan women rallied for 12-shot victory in the KWU Spring Invitational on Tuesday at Salina Country Club. The Coyotes finished with a 373-356—729 total. They trailed Central Christian by 10 shots after Monday’s first round, but topped York by 8 strokes in the final standings. York (377-364—741) slipped past Central Christian (363-379—742) and claimed second. Oklahoma Panhandle State was fourth (419-413—832). Sayyalinh, a freshman from Rockford, Ill., posted an 83-80—163 total, easily outdistancing runner-up Jessica Simants of York, who shot 88-83—171. Coaxing the ball onto the greens was somewhat of a challenge, Sayyalinh said, but things are trending in the right direction for the team. “It was a struggle to get on the greens, but once I was on I could one-putt,” she said. “The first tournament (of the spring) was a little rough since we’d only practiced like maybe three times outside. We practiced this past week and it definitely showed as our scores improved. Mikaela Johnson (JR/Salina, Kan.) placed fifth with an 89-88—177 total, MacKenzie Fabrizius (SR/Spring Hill, Kan.) was seventh (94-85—179) and Chandler Birkholz (SO/Eureka, Kan.) tied for 16th (107-103—210) for Wesleyan. The title was big for the Coyotes after finishing seventh in the eight-team field at the KCAC’s First Leg last week at Crestview Country Club in Wichita. Syring said it’s no surprise the team is improving as they’ve been able to get outside and compete of late. The Coyotes will play in the Moundbuilder Spring Classic next Monday and Tuesday at Quail Ridge Golf Course in Winfield.